It’s hard to imagine the days before I met Giulia (you may know her better as Juls from Juls’ Kitchen) and we weren’t yet friends, messaging each other constantly and plotting our next meal together. 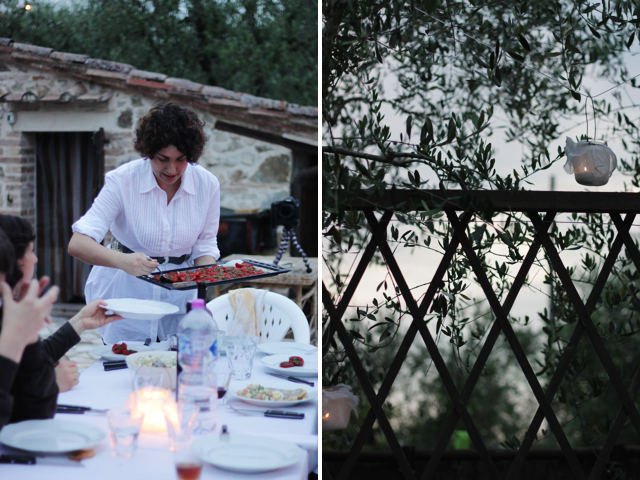 Between Florence and her countryside home in the Sienese hills, we weren’t exactly neighbours but somehow we found time – and plenty of it – to get together to cook or eat, and usually both, together. Our first meeting itself was dinner at one of my favourite restaurants in Florence. Needless to say, we hit it off instantly and then things like this pavlova followed, then so did joint projects like our recipe features for Maeve Magazine, where we pick a theme and each work on our favourite recipes and photos. 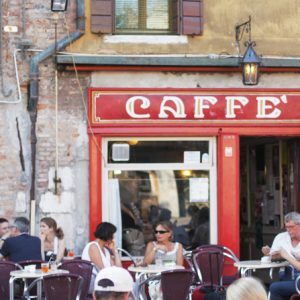 It’s something we’ve been easily able to keep up even though I now live on the opposite side of the world, much like our Italian Table Talk posts – monthly discussions together with bloggers Valeria and Jasmine, on Italian traditions and cuisine. 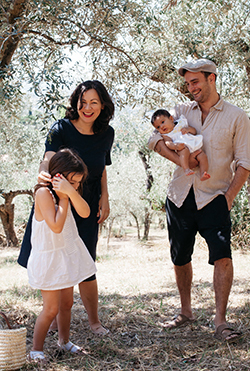 She’s recently written a cookbook dedicated to her region and appropriately titled I Love Toscana (now available in English and Dutch too). Out of all the recipes that I could have chosen to make first from Giulia’s book, it finally came down to one that I just couldn’t go past, not only because it is so quintessentially Tuscan (just like our girl, Giulia), but because it’s the end of summer here in Melbourne and the warm nights reminded me of when I had this dish with Giulia, at her gorgeous countryside home with a large group of her friends. Giulia had been cooking all day for a recipe shoot and her friend Emanuela, whose recipe this is inspired by, had also made a gigantic pot of pappa al pomodoro. We sat outside at a long table surrounded by olive trees and little candles in jars while the sun finally set and the air finally cooled and we feasted. Pappa al Pomodoro is a great summer dish made with such simple ingredients, the main ones being stale bread, summer’s abundant tomatoes and little touches like extra virgin olive oil and fresh basil from the garden. It is an ingenious way to make a cheap, comforting and filling meal and is probably one of the most ancient dishes that continues to appear on Tuscan tables even today. Like the panzanella, this medieval dish originally appeared without the foreign tomatoes and was simply a porridge of sorts made with bread, water and garlic, “the most elemental soup in the world,” as the Florentine painter-chef, Guido Peyron said. In English this dish is called a “soup” but soupy is the last way I would describe the texture, which is thick with bread and can be eaten with a fork. Pappa is a much better word, which really means something mushy – think porridge or baby food . Yes, I know, not the most attractive dishes but that’s probably why in English we use the word “soup”. Pappare also means “to eat” – an indication of how basic and necessary pappa is as a dish. As you delve into the world of pappa al pomodoro, you’ll find no two alike: the dish morphs as it pans over the different landscapes of Tuscany and of course changes from kitchen to kitchen, which demonstrates perfectly how much this dish was a home made one, using whatever was on hand, usually without needing to follow a recipe. 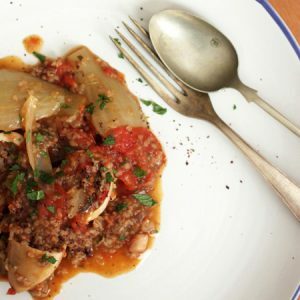 Some use finely chopped leek, some add a few whole cloves, some use canned tomato, pureed tomato or fresh, but there are also different techniques used for making this dish which Tuscans could argue about for days, such as to cook or not to cook the bread. The bread is a sensitive issue in the pappa al pomodoro considering it is the base of the dish, it is what gives it is characteristic texture, its volume and most importantly, what makes it a pappa. The bread should be Tuscan, of course, for its great ability for being revived in liquids without turning soggy. It can sometimes be seen toasted, but purists will always use stale, day old bread. You can simply rub raw garlic on the bread for flavour instead of sautéing it with the sauce or adding it at the end, raw, as Emanuela and Giulia do. But then there’s the step of how and when you add the bread. I favour the pappe like Giulia’s, made by first cooking a tomato base and then, off the heat, resting the stale bread to soak up the liquid, only heating it for a few minutes to soak in the flavours. I have also tried the recipes that involve cooking the soaked bread together with the liquid for 40 minutes or so; the result is a gluey texture with a thick ‘skin’ that develops along the sides and top of the pappa – but some Tuscans will argue this is the best part of the pappa. 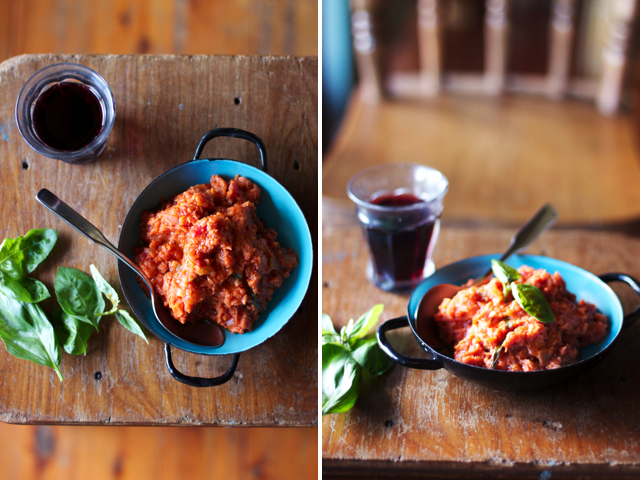 Giulia’s recipe is a wonderful version, so simple and with such a fresh flavour and lovely texture – it’s going to be my staple pappa al pomodoro recipe from now. This dish is often served tepid in the warm weather, but is just as often served cold or hot. Cut the bread in thick slices (I like to cut the crusts off) and soak in water by running the slices under the tap for a moment and setting them aside to seep. Meanwhile, finely chop the carrot, celery and onion and saute them gently with some olive oil in a large pot. When the vegetables have softened and the onion has become translucent and slightly golden, pour in the tomato puree and allow the whole thing to simmer gently for 15 minutes. Squeeze any excess moisture from the bread and add to the pot, cooking for an extra 10 minutes. Add a crushed clove of garlic (for those who want their garlic more mellow, you could cook it with the vegetables at the beginning), season with salt and pepper and allow the pappa to sit for at least an hour before serving. Serve with basil leaves and a generous drizzle of some very good extra virgin olive oil over the top. 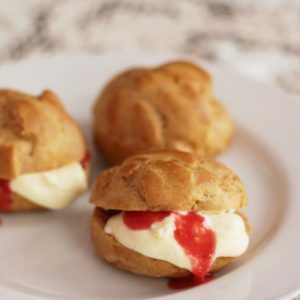 A wonderful recipe which I’ll try this summer. Do get her book, you won’t regret it! It’s hard to imagine the days before I met you! You are precious my friend, I am so proud and lucky we met, life is undeniably more tasteful and fun with you! Big hugs from across the other side of the globe! My mouth is watering reading this post! Outside the ground is covered in snow, but now I’m longing for the warm days of summer and tomatoes! Mmmmmmmm. Pappa al pomodoro is one of my favorite foods eeeeever! It’s pretty much a quintessential comfort food. The food form of a hug, really. I so agree! I have to admit, at first I wasn’t a huge fan. In trattorie, it was always such a huge bowl to get through and so filling that I’d end up feeling sick on it! But now I know not to stuff myself – unless I really need to! 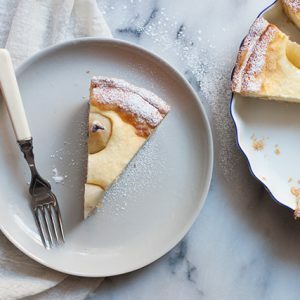 I’ve been contemplating which recipe from Giulia’s book I should make first, flipping through the book back and forth many times, but I think I finally know! I love the warm colours in your photos. They make the dish look so tempting and appetising. 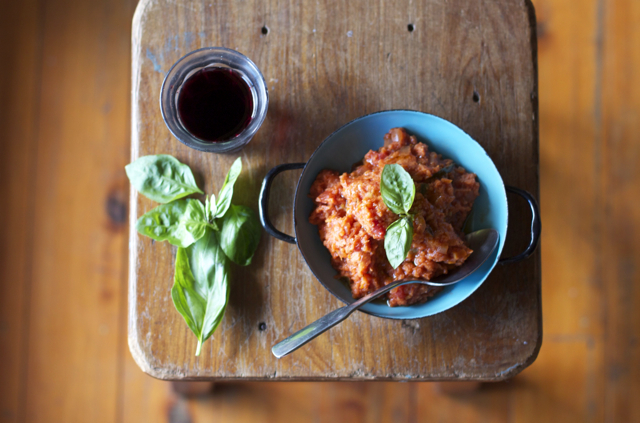 It’s still far away from summer weather here in London but I believe Juls’ Pappa al Pomodoro will bring a bit of summer into these grey days. Can’t wait to see the results, Sarka! Lovely post about a very special lady. 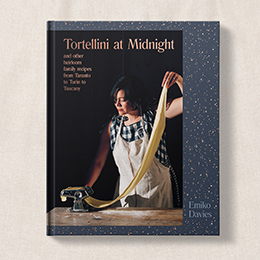 This book is truly wonderful, I set my mind on cooking every single dish from it. This dish looks gorgeous and makes me want for warm summer evenings, and lovely sweet tomatoes. I wish we could enjoy this dish all together in a garden somewhere! Thanks so much for introducing me to Giulia! And thanks also for such delicious recipes. Love your work. Greetings from Good Things in Australia. Thanks Lizzy, Giulia (and her blog) are a delight! Hello Emiko, I have found your blog looking for recipes and I’m really happy to meet you because you have so many things in common with me … I live in Florence, I love photography ( black & white I have an old Rolleyflex 6×6) and to cook of course, and I know juls and I was at her Fettunta Party … congratulation for your blog … I hope to open soon one of my own because I have a lot of photos and recipes … I’m working about it. Wow, we do have a lot in common! Good luck with getting the blog up and running! Oh, such sweet memories this recalls! Thank you for the Pappa. Photos are delightful.